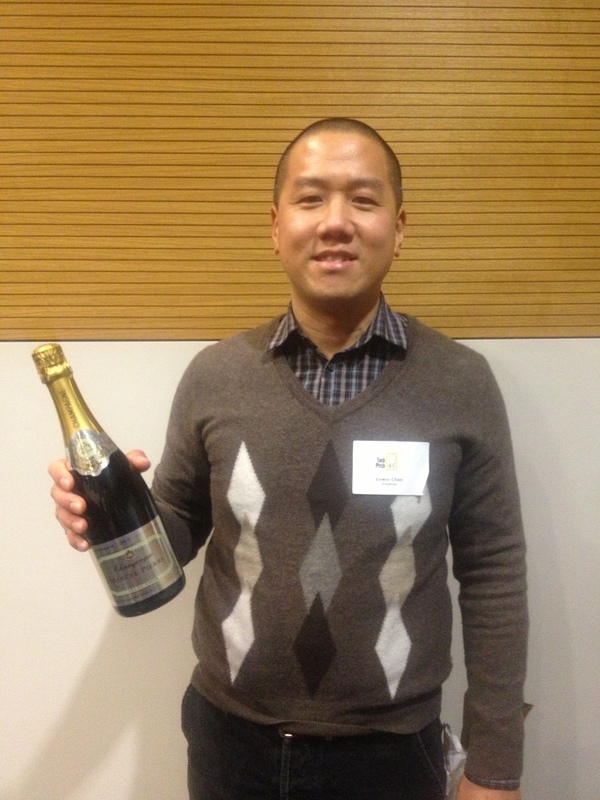 You’re looking at, Eewei Chen of Emotivu, the winner of the first Tech Pitch 4.5 of 2013! 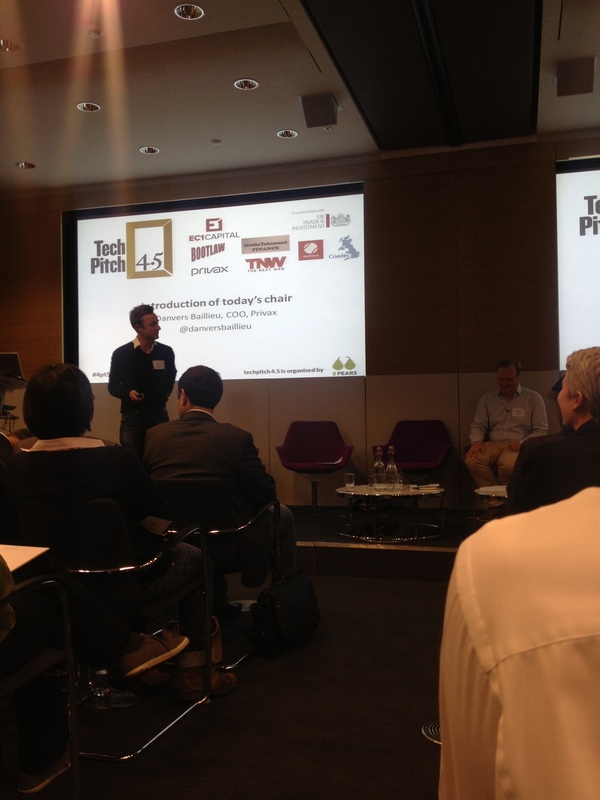 This past Wednesday, startups, investors and entrepreneurs gathered at the Pinsent Mason’s Auditorium in London for a chance to pitch their ideas and get feedback from an expert panel of judges. Stefan Bardega of MediaCom began the evening as keynote speaker, discussing the ever-changing worlds of media and digitial technology, and how his company is working to be innovative during this time. Among the judges were Danvers Baillieu (Privax), Stefan Bardega (MediaCom), Julian Carter (EC1 Capital), William Chappel (Barclays Corporate), Xaver Matt (Netleadz) and Tom Turcan (Runcat Consulting). After eight three-minute presentations, the judges’ enjoyed Emotivu’s pitch best, though there were only a few points separating the top four companies. 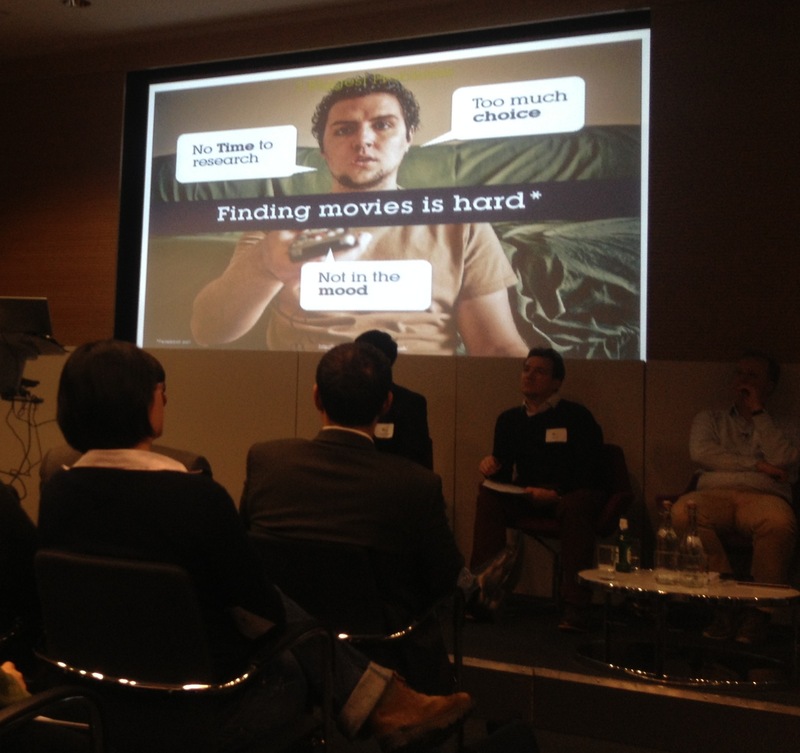 Emotivu is geared towards the movie industry, giving movie lovers a new way to communicate and learn about different films. Chen pitched that Emotivu monitors social media, and then users of the app will be able to get a more personalised movie recommendation. Other companies pitched ideas that monitored time, carbon emission and social media, while others were about communication and collaboration. As the winner, Emotivu will attend an investment meeting arranged by EC1 Capital in order to discuss potential investment opportunities, as well as enjoy that lovely bottle of bubbly!